The speakers we started comparing the amps on were the Magico S5 (older version). 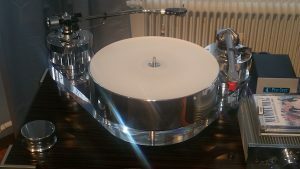 The TT was the Transrotor with Burm 100 phono. The Symphonic line was the most organic and flowing of the recent lot. Possibly a bit less detailed and less fast than Burmester, not that it’s slow, but will not get bright due to keeping it a bit dark. But quite a bit better than the Burm overall. The Kraft also had better midbass for baritones as for easily audible on Winterreise. 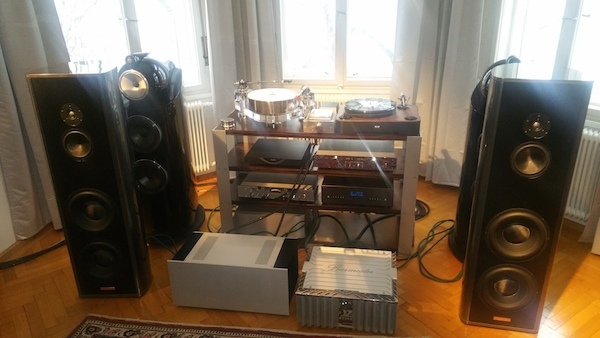 As for the Burmester, I do find it dynamic, but less tone for classical, a bit edgy. Burmester also sounds a bit too precise, while the SL has the more natural holistic continuity between images. The Burm is much thinner in the midbass. The piano on the Kraft is more flowing as opposed to toppy for the Burmester. Also, with the Kraft, the music flows into the room. Then we moved out the Magico and put in the B&W 802 D3, and the distance between the Kraft and Burm now increased. The Kraft was giving it a great flow, and the piano was sounding extremely good. 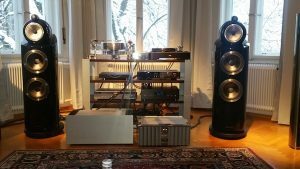 I was surprised at how good the B&Ws were sounding, when Tonart mentioned that they had modded them. Tonart is extremely good at DIY – they have been helping in the construction of Symphonic Line amps and TTs over the last two decades. They have their own designed TT and phono stages, and their TT had better bass than the Transrotor, though the price was much higher. I was unable to compare the SL pre to the Burm 088, but Tonart mentioned that the differences would be the same. I think at 18k retail, the SL Kraft is one of the best class A amps on the market, that needs to be compared to the likes of Dan D’agostino Momentums and the more expensive Vitus brands, as well as the Mephisto. It does not have the marketing and distribution support of many brands and is undervalued, but provides the class A liquidity with good tone and speed that many yearn for. It is also known to work with many valve preamps, including its own. The other aspect that I am unable to comment on is the behind the speakers soundstage and layering. Possibly because the speakers are in a normal living room kind of environment, with bay windows at the back, we did not get much back of speakers layering, something that I know Magicos can do. 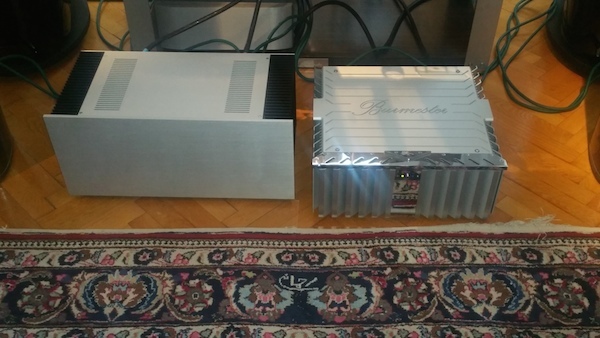 Be the first to comment on "Symphonic line kraft vs Burmester 911"